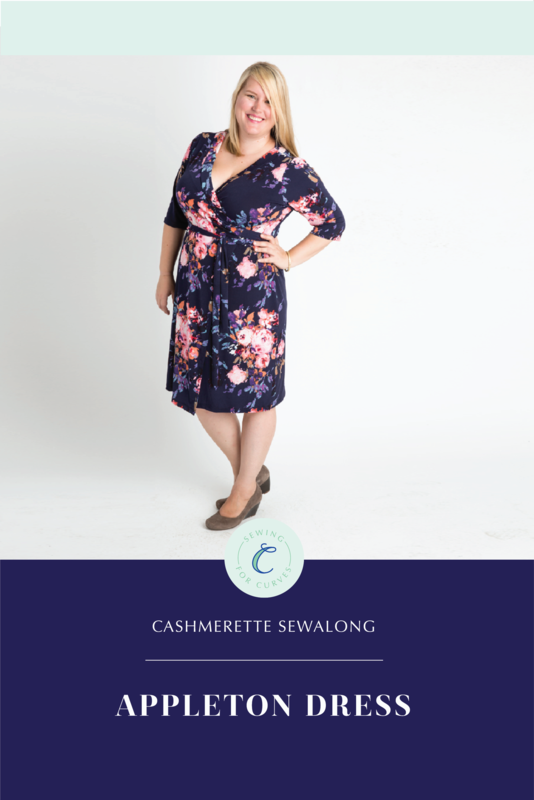 I’m the #1 fan of wrap dresses – they do awesome things to curves! – so I combined all my favourite characteristics from store bought DVF dresses and hand-made versions, together with new features. The Appleton Dress has an innovative neckband which hugs the body for zero gaping (yes, even on my H bust! ), a built-in waist tie, a longer under-layer for less flashing potential, and three sleeve lengths. We also sell fabric kits and jersey by the yard which are perfect for the Appleton! In just 8 steps, we’ll take you from preparing your pattern pieces to having your dress ready to wear!